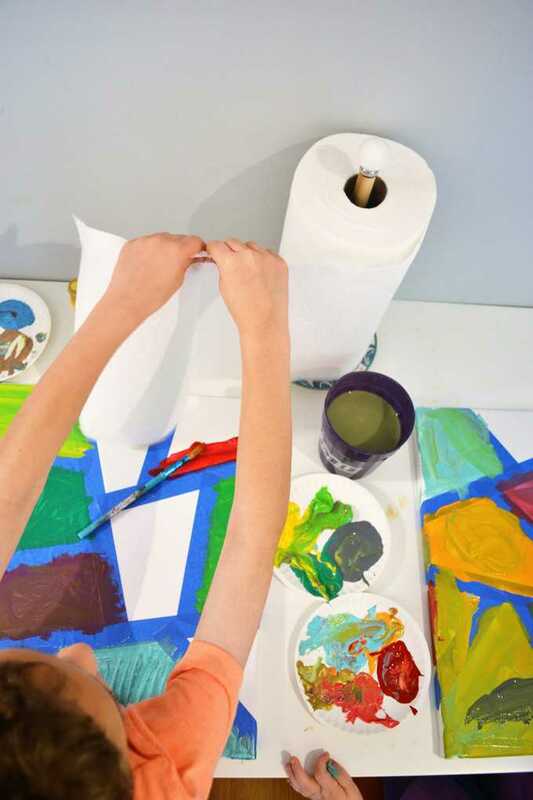 Summer’s almost here, which, for me and my kids, means our schedule gets packed with outdoor play, play dates, and LOTS of art projects. The three of us love any kind of art activity, the messier, the better! 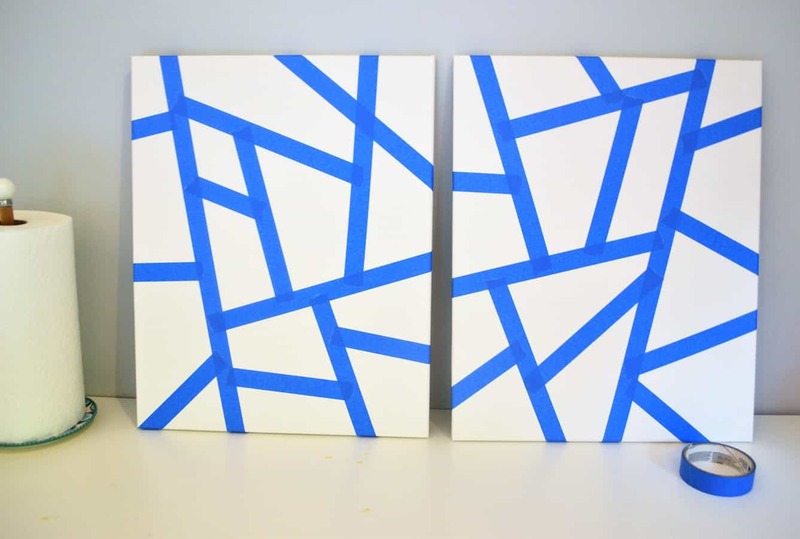 We did an oh-so- easy geometric canvas art project this weekend, and we are so happy with how it turned out…. Before we started our project, though, I took a trip to Costco to stock up on Procter & Gamble Household Needs products. I don’t mind us making a mess (that’s all part of the fun! ), but I definitely need an easy way to clean up said mess after the fun is done. I also purchased 2 11×14 canvases, painters tape, paintbrushes and craft paint. 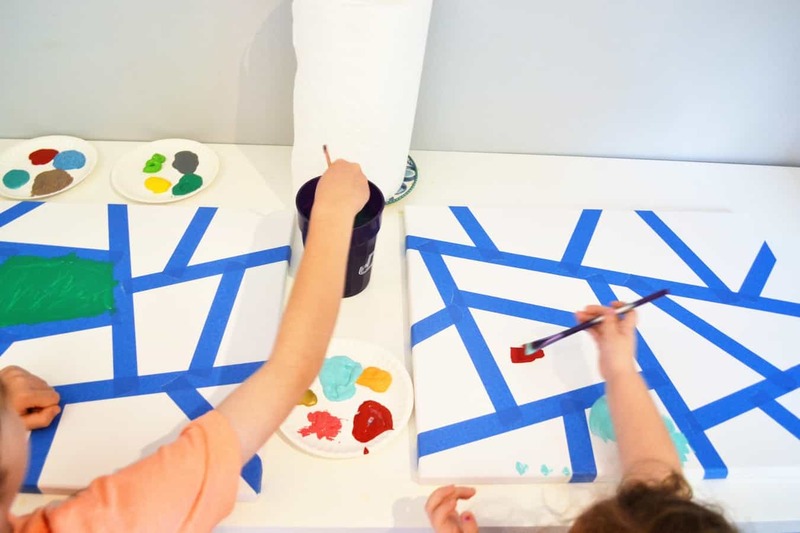 The first step to make this easy geometric art is to tape off your canvases. There’s no “right” way to do this, just start laying tape down until you’re happy with the final result. Once that’s done, you’re free to start painting! 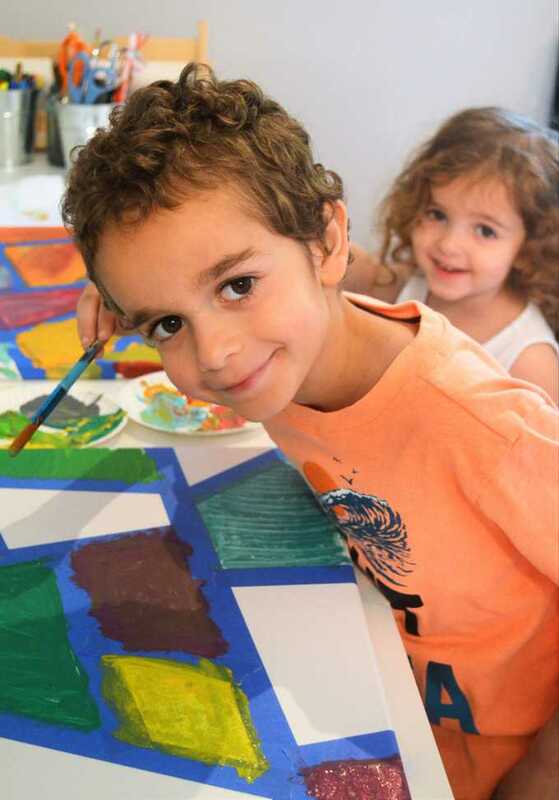 I let me kids choose the colors they wanted on their canvases, gave them each a paintbrush, and we were ready to go. 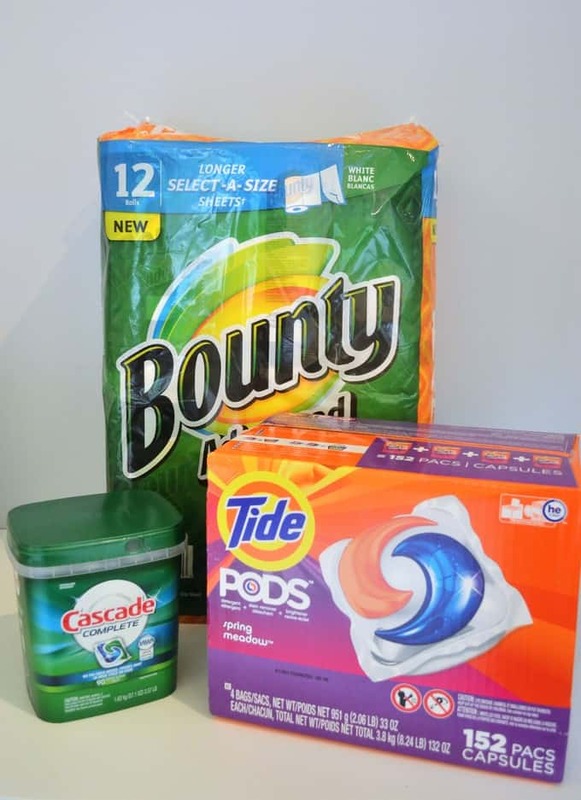 We kept a roll of Bounty Advanced nearby…they’re absorbent, durable, and allowed us to focus on the fun instead of the mess. 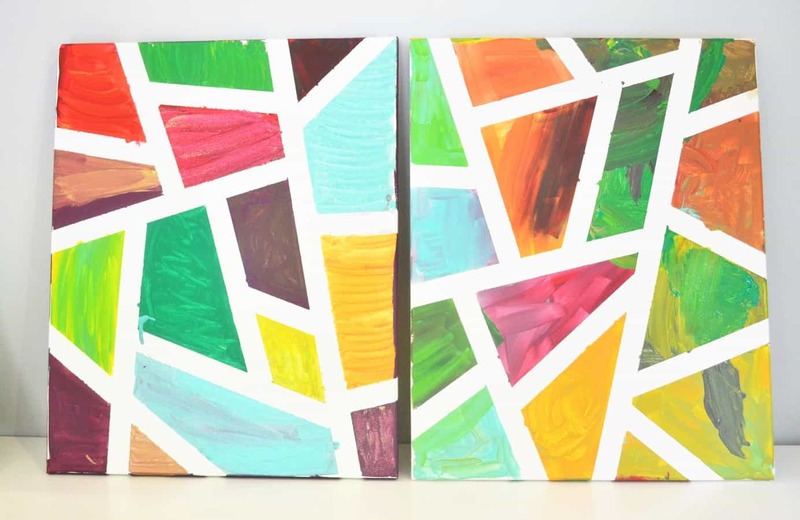 When you’re done, carefully peel off the tape, and let your canvases dry completely. 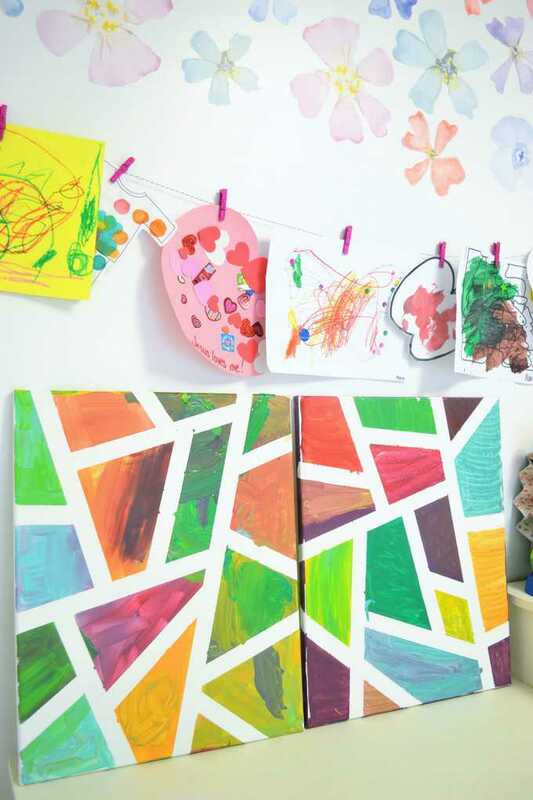 We LOVE how these turned out, and the kids can’t wait to hang them in their rooms. 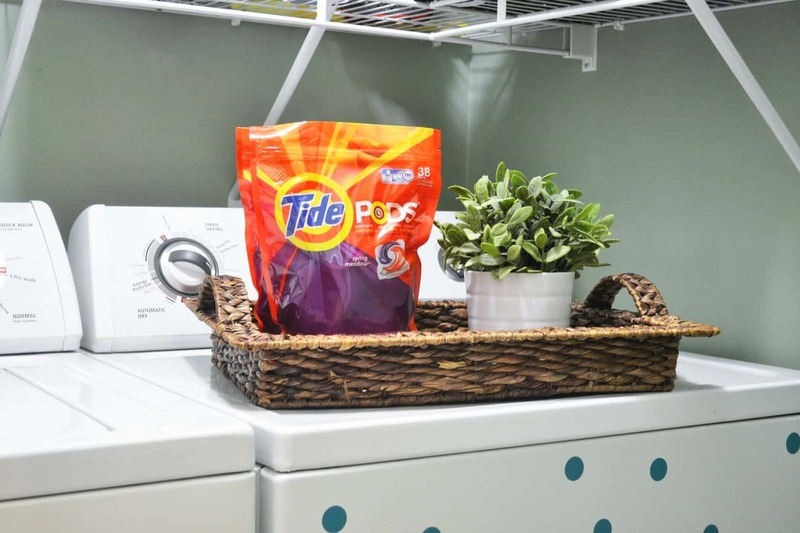 The easy clean-up continues with Tide Pods, an easy, no-mess way to clean, color protect, and whiten your clothes. Just drop in the drum of your washing machine and add your clothes (they work on any temperature cycle, as well). Dirty water cups, paintbrushes, etc. 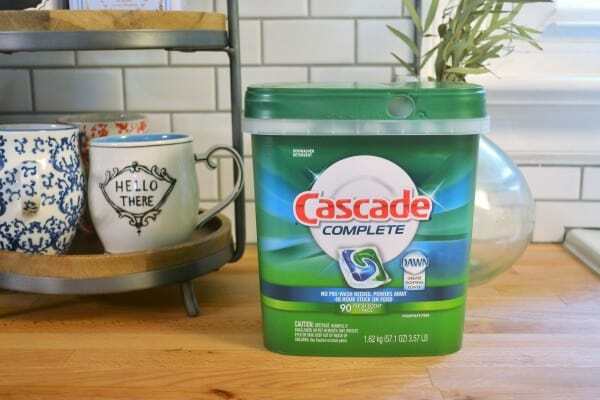 go straight into the dishwasher, along with Cascade Complete ActionPacs, which are powerful enough that you can skip the pre-rinse altogether (a definite time-saver). 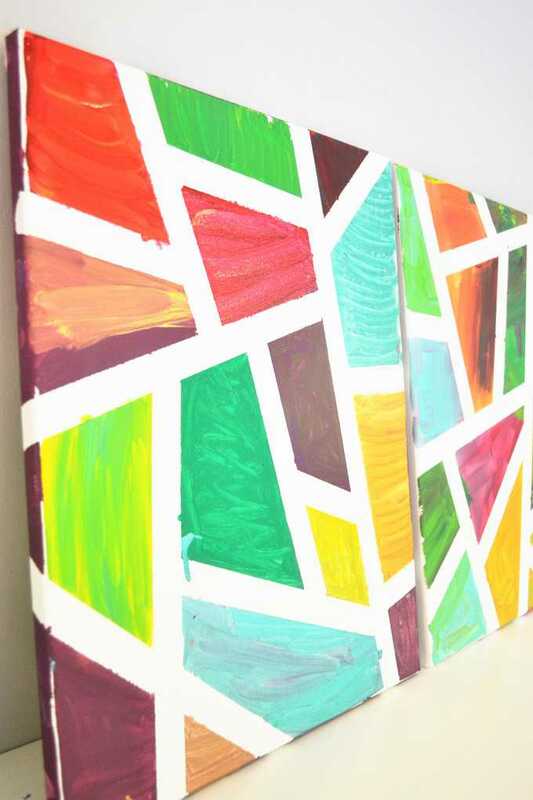 Thanks for reading all about our geometric canvas art! Tell me, what tips do you use to make everyday messes easier to handle?